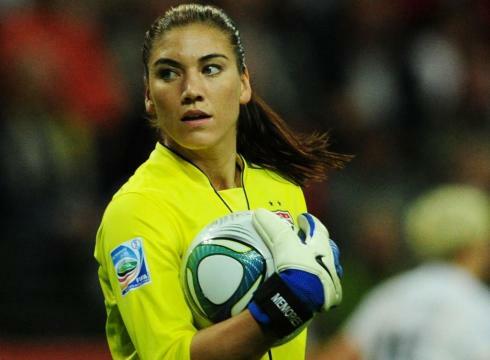 US Soccer star Hope Solo pleaded not guilty to domestic violence charges Monday afternoon. Appearing in Kirkland Municipal Court, Solo was released after a judge told her to not consume alcohol reports the Seattle Times. A pretrial hearing has been scheduled for Aug. 11. Charging documents say that Solo was arrested after police responded to a 911 call about a woman hitting people and refusing to leave a residence. Officers reported that Solo was intoxicated and upset when they arrived. Solo’s nephews t-shirt was torn and he had scratch marks on his arms and was bleeding form one of his ears. Statements from the nephew suggest that Solo and husband Jeremy Stevens had been fighting prior to Solo arriving. A fight between Solo and her nephew started when the boys mother attempted to pull Solo off. Solo then punched her in the face. At that point the boy broke a broom over Solo’s head and pointed a BB gun at her.